‘HomeTown Story’ or as I would prefer to call it, “Repetitive Capitalism Sim”, is a game with a lovely premise but really doesn’t hit home when it comes to it’s final delivery. The idea is cute, returning back to the village where you grew up to take over the family shop. You’ll meet all sorts of strange characters: twin blacksmiths who are searching for their old mentor, a grumpy fisherman who you can never seem to please and even a Scarecrow that has an ‘interesting’ past. You will have to partake in various events and quests to aid the townsfolk whilst managing your store and trying to make the highest profit possible. The problem I found with HomeTown Story is that there really wasn’t enough depth to the gameplay to match the potential of the original idea. For most of the in-game days, you spend the entire day sitting in your shop, pressing ‘A’ and restocking supplies. Now, this is great if you really gain something from it but to be honest, the in-game currency doesn’t really cut it as an apt reward for the tedious day’s work. Occasionally, you’ll open up the store only to be greeted by one of the townsfolk, who always seem to be after something. Your character agrees to help out but even when you eventually find the item, the character is hiding on the other side of the map, which brings me to my next point. The navigation in this game felt really odd, and not in a good way. The map isn’t exactly large but it just feels like it takes a decade to travel from one side to the other. The map on the bottom screen helps you to find who you are looking for, but there is no quick way to get across the map without following the winding roads which don’t really give you much expressive freedom when it comes to movement. I will give credit where it is due though, the music and overall design is beautiful, probably due to this game being conceived in the same mind as the Harvest Moon games, that of Yasuhiro Wada. 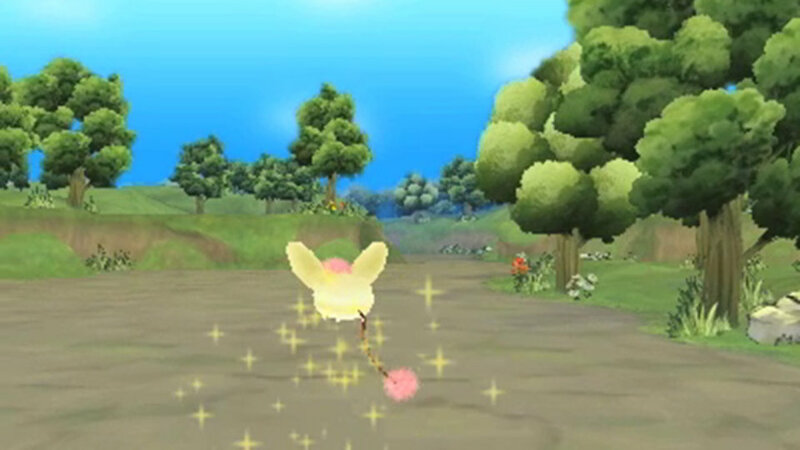 but this game really doesn’t have the same depth and playability that the Harvest Moon games do have. 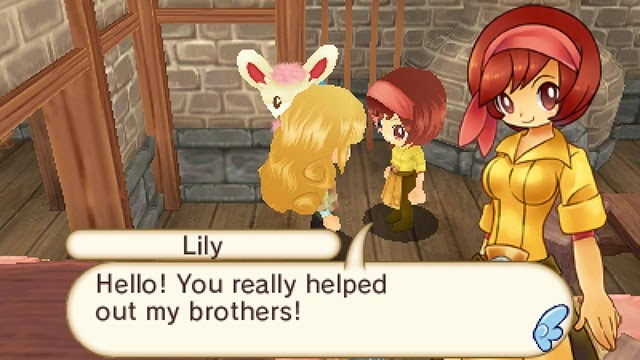 There’s nothing to flesh out the gameplay in HomeTown Story: no real relationship building, no clever side-stories and not much variety in your day – three things which makes the HM series so great. Anyway, I think the main issue with this game is the repetitiveness of the gameplay. Doing the same thing all the time doesn’t provide much fun or creativity that a game like this should do. It’s a nice idea and if it had been fleshed out a bit more, I think I would have really enjoyed this game. However, not being able to play more than 30 minutes of this game at a time without getting bored put a bit of a downer on my opinion of this game.